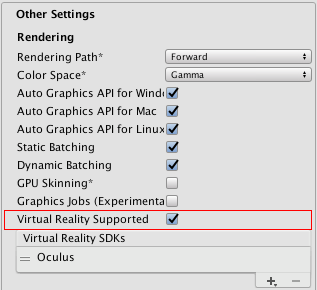 Unity VR lets you target virtual reality devices directly from Unity, without any external plug-ins in projects. It provides a base API and feature set with compatibility for multiple devices. It has been designed to provide forward compatibility for future devices and software. The VR API surface is minimal by design, but will expand as VR continues to grow. dónde DEVICETYPE es uno de los nombres de la lista de dispositivos VR soportados. Each Camera that is rendering to the device automatically overrides the field of view of the Camera with the field of view your user inputs in the software settings for each VR SDK. 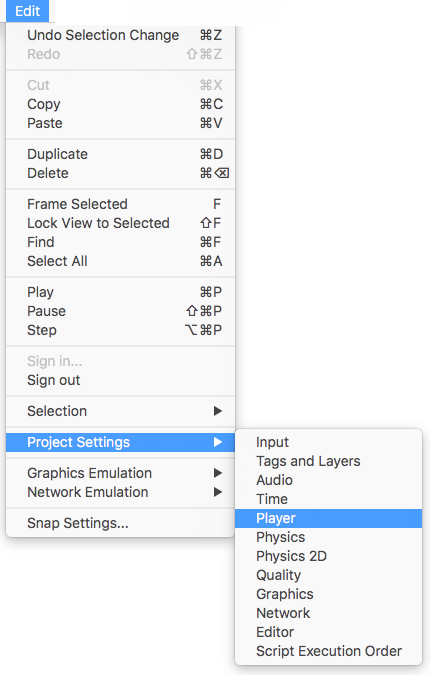 You can override this field of view value through script at runtime to set a custom field of view specific to your application.